Who’s Mollie? 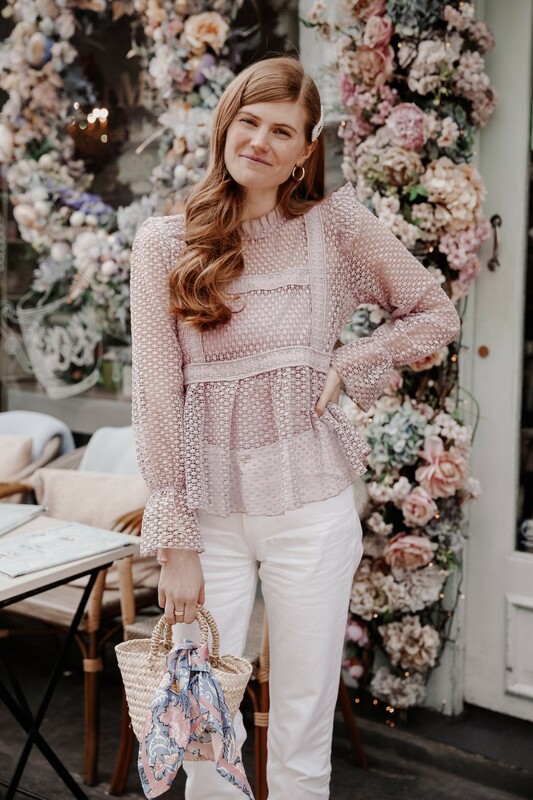 I’m Mollie, the creator and writer behind the London lifestyle blog, Mollie Moore. Starting a fashion related site is something I’ve been dreaming about doing for years. In January 2015, I decided it was time to turn those dreams into a reality, and here we are! Quick facts: I’m 27 years old, I’m a newlywed living in London with my husband Connor, I’m a Green Bay Packers fan, and my favorite macaron flavor is rose. Why are you living in London? I thought you lived in NYC? As of May 2018, Connor and I live in London! Leaving NYC was definitely a hard decision – I’ve lived there for the past 5 years and owe everything that I am today to that wonderful city. However, Connor was presented with a great work opportunity here in London that we just couldn’t refuse! It’s such an exciting new chapter for us and I can’t wait to watch my blog grow and evolve while we’re here. All of my fashion content will stay the same, but you can expect to see much more travel related posts, as well as posts about my experience as an American living in London. I did tons of research before moving here, and found that there wasn’t a lot of information out there on the topic! I hope to be a go-to resource for anyone interested in moving from America to another country. Is blogging your full time job? In NYC blogging was not my full time job, and to be honest I had no intentions of taking it full time. However, now that we’re living in London, it felt like the natural next step for me. Who takes your photos? It depends on where I am! When I travel, I work with a lot of different local photographers. I always link to my photographer at the bottom of each post, so you know who to contact. When there’s no one linked, that means that Connor or a non-photographer friend snapped my pics for me and I edited them myself. I use a Canon G7X Mark ii and love it! I see you tag @liketoknow.it a lot on Instagram. What is that program and how does it work? Check out my LIKEtoKNOW.it page for a quick explanation of how to use it. Do you accept collaborations / sponsorships? Absolutely! Shoot me an email at hello@molliemooreblog.com and let’s chat.